I believe that robotic feeding is essential to nowadays farm’s efficiency. While improving the quality of life of my family, the investment pays for itself. Best payback ever. Thank to this investment, I save at least 2 hours of work per day. With the Autoration, I have been able to lower my expenses in grains and concentrates by 25%. Autoration helps me save a lot of time. I can do plenty other tasks while the system is working for me. Do like them. Request a free quote! 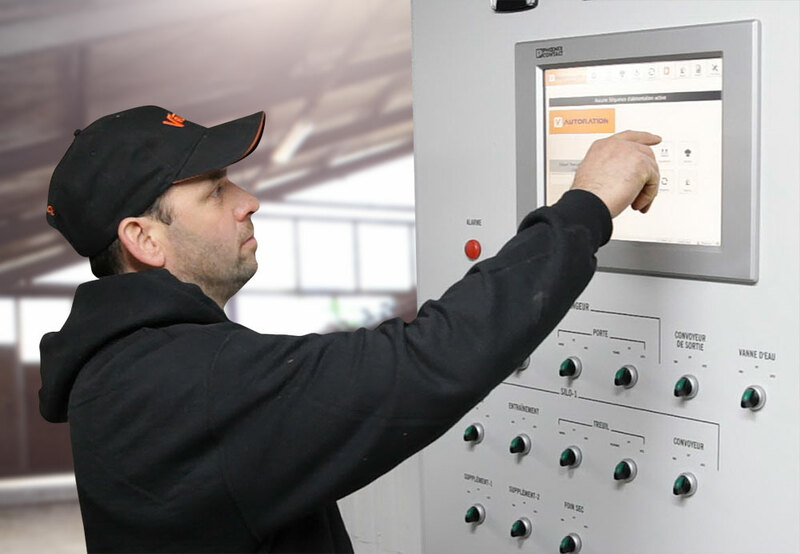 Valmetal robotic feeding, it is not only a PLC (programmable computer) but rather the expertise of a world famous company featuring the widest range of feeding equipment (TMR mixers, silo unloaders, conveyors, ...) in North America and a great customer service.